Materials: oil on canvas. Dimensions: 101.9 x 141.8 cm. Nr. : 70.PA.52. Inscriptions: at left on stone, “Ant° Canaleto fe[t]”. Source: www.getty.edu/art/collections/images/enlarge/00062101.JPG. P.S. I have changed the light, colors and contrast of the original photo. Materials: oil on canvas. Dimensions: 65 x 100 cm. Nr.:? Source: http://www.atlantedellarteitaliana.it/artwork-3094.html. P.S. I have changed the light of the original photo. Materials: oil on canvas. Dimensions: 75 x 120.5 cm. Nr. : Nr. 78 (1978.13). Source: http://www.museothyssen.org/en/thyssen/ficha_obra/551. P.S. I have changed the light and the contrast of the original photo. The present canvas was commissioned by Greville together with four more canvases, while also related to this commission are three drawings of Warwick Castle and two of the city of that name. The group, which is one of the most extensive by the artist devoted to a building in England , depicts the castle from different angles with the intention of reproducing the interior courtyard and the exterior façade. The present canvas may have been painted in Canaletto’s studio in London in Silver Street. From there it entered the collection of Francis Greville, who subsequently became the 1st Earl of Warwick. The canvas passed down by inheritance through the family until it was acquired for the Thyssen-Bornemisza collection in 1978. The South Façade of Warwick Castle belonged to the descendents of Francis Greville, including George and Henry Greville, and was displayed in various rooms in the castle, including the billiard room in 1853 and the breakfast room in 1893. Materials: oil on wood. Dimensions: 52.1 x 68 cm. Inscriptions: signed. Nr. : NG2570. Acquistion date: 1910. 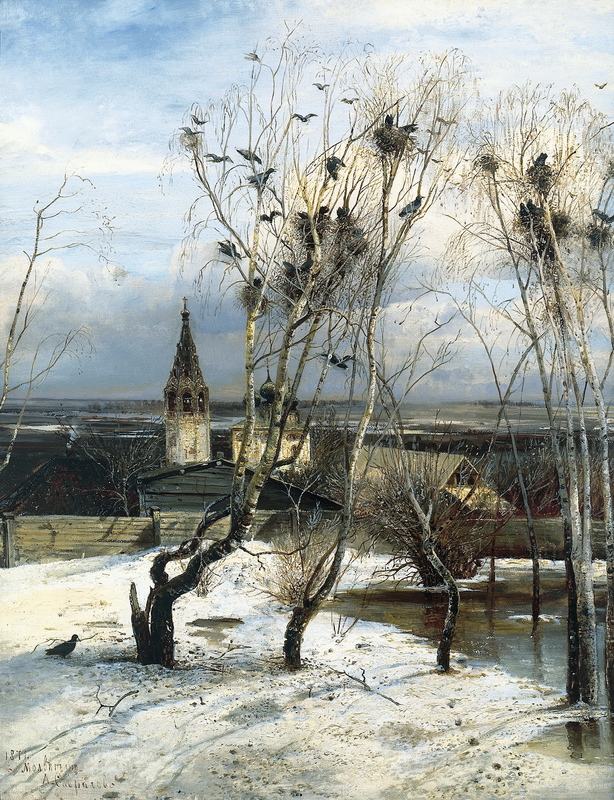 Source: http://static.bbci.co.uk/arts/yourpaintings/images/paintings/ng/large/ng_ng_ng2570_large.jpg. P.S. : I have changed the colors and light of the original photo. Materials: oil on canvas. Dimensions: 64.8 x 84.4 cm. Inscriptions: signed. Acquisition date: 1982. Source: http://www.nationalgalleryimages.co.uk. P.S. : I have changed the colors and the light of the original photo. The small town of Oudewater is on the River Ijssel between Gouda and Utrecht. The clock tower to the left of centre in the distance is that of the Grote Kerk (church of St Michael). Much of the rest of the scene is probably intended to be picturesque rather than topographically accurate. 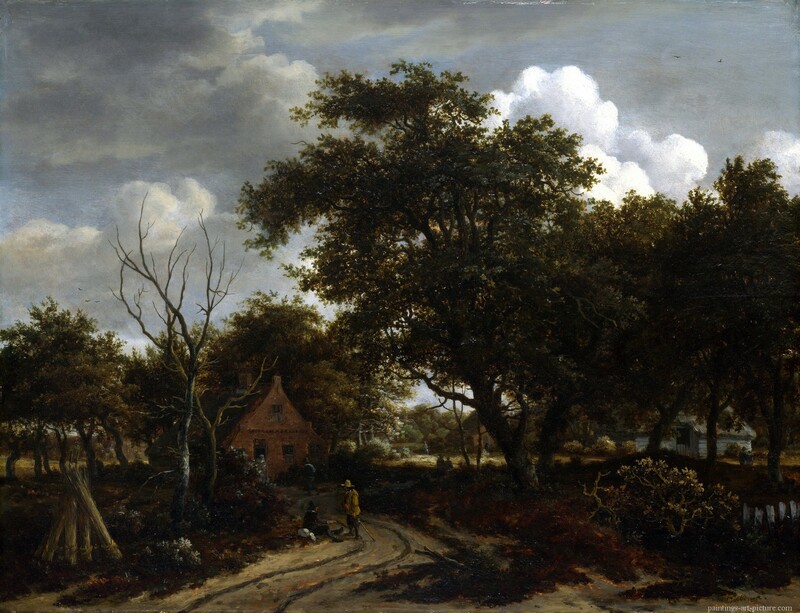 This picture has been dated by comparison with other works by the artist (http://www.nationalgallery.org.uk/paintings/willem-koekkoek-view-of-oudewater).